In 1994, if you had walked into the theater at Westlake High School, you might not have been too impressed. To be sure, there was nothing wrong with it. The Fine Arts Facility was only ten years old and hadn’t been treated poorly. In fact, it had been treated like almost any other high school theater; floors were mopped, light bulbs were replaced, and thousands of students walked across the stage for concerts, plays, musicals, and assemblies. But nothing was upgraded. Nothing was repaired. The district’s once state-of-the-art performance venue was quickly becoming archaic. It’s easy to build a theater or a classroom, pouring money and time into the construction and - once it’s complete - expect it to magically thrive, needing little additional money, materials, or man-hours. The reality is the exact opposite. Just like classrooms, gymnasiums, cafeterias and stadiums, theaters require a constant supply of support: funding, passion and - most importantly - people who care. It’s hard to overstate the impact that David Poole has had on the Westlake Community Performing Arts Center. While most people in the district know him now, most do not know how long he has been involved at Westlake. By the time David graduated from Westlake High School in 1981 he had helped to set the stage for the building of a theater on campus. As a student he lit plays, musicals and performances of the Zenith dance show using homemade light fixtures (commercial vegetable cans). After graduating, he continued to work closely with the school on musicals and dance performances while working on his undergraduate degree at the University of Texas at Austin. Even as he pursued a career in audio engineering for live events and recording, David continued to edit all of the dance music for Westlake’s competitive dance group, Hyline. In the early nineties, as he toured with the band Johnny D and the Rocket 88s, David started to see more and more moving lights (sometimes referred to as automated, intelligent, or robotic lighting) in music clubs and other concert venues. One of the major manufacturers of these lighting systems, High End Systems (HES), happened to be based in Austin, and David began to reach out to his HES contacts about the possibility of borrowing some lights for the annual dance production, Zenith. While HES was receptive to the idea, the current director at Westlake’s Fine Arts Facility was not. In 1994, Phil Gilbert was a fish out of water. He had just moved into Eanes with his family, starting at Hill Country Middle School (HCMS) at the beginning of his eighth grade year. With most classes filled - and not wishing to take wood shop - he found himself enrolled in the drama program. While it wasn’t his intention to perform, he’d had some experience with theatrical lighting at his previous school (and we all know how guidance counselors latch on to this kind of stuff). And so, before he knew it, he was signing up for Technical Theater I as a freshman at WHS. Day one in Technical Theater, Phil knew there was something wrong. The school had recently hired a new Facility Director (who doubled as the Tech teacher). With a strong background in theater, the teacher could single-handedly build and paint sets that were fit for professional theater. Unfortunately, he was saddled with a class (nearly) full of students who had signed up for the course having heard that it was a ‘blow-off’. Surrounded by misfits and led by a teacher who couldn’t find the reigns, Phil gleaned what information he could from class and found the rest in equipment manuals; he quickly knew more about the lighting console than his instructor. Then came the Spring Musical, the Choir’s production of Hello Dolly. When he walked into the theater that afternoon, something was different. Two new stacks of speakers on stage. A rack full of equipment at the back of the theater which he had never seen. And someone Phil had never met. Someone who spoke with confidence and took the time to explain things to the students. I bet you can guess who that was. At about the same time that Phil was wandering the halls of HCMS, David was hatching a bold plan to bring a new look to Hyline’s Zenith dance production. With a brand new Facility Director at the FAF, he re-introduced the idea of using moving lights for the show. The idea was met with much more enthusiasm this time and David worked closely with Sean Hoey and Greg DiDonato of High End Systems to bring in fourteen Intellabeam moving lights for the production. David and Greg, along with a couple of students, spent nights and weekends at the FAF, programming lighting looks with technology that was currently being used by bands such as Genesis and ZZ Top. The lights were a huge success. In April 1997, High End Systems once again provided an intelligent lighting package for Zenith, with David and Greg DiDonato doing the bulk of the programming after-hours, including a light show set to music. At the urging of several people in Eanes, David had gone back to UT, enrolling in classes in Education and Theater in order to qualify for a State of Texas Secondary Teaching Certificate. After finishing the necessary credit hours, he fulfilled his student teaching requirement at Westlake during the ’96-’97 school year. In the Summer of 1997, the principal of Westlake High School offered David the job of Fine Arts Facility Director. If you had to pin-point a moment in time when the Fine Arts Facility and Technical Theater program began their transformation into what you see today it would probably be early in the Fall of 1997. That’s not to say that there haven’t been significant changes since then, but this was probably the moment that defined the future for this building and this program. When school began that year there was a jarring shift at the FAF. The technical theater classes were still filled with students who carried little interest for, well, technical theater. But this changed quickly. David quickly made it understood that students in these classes would have to work just as hard as those in any of Westlake’s most demanding programs. He learned to teach very quickly and adopted concepts from the organizations he admired. To this day, you can see elements that he borrowed from Westlake’s band, choir, and football programs as well as his experiences as an Eagle Scout. At the time, there weren’t many students who were devoted to technical theater. One day that Fall, David sat down with Phil. He asked the student what he wanted to get out of Tech. He explained to him that from that point forward, anything was possible. And so they sat there and hatched a plan for the re-birth of the program. There is no doubt that much of what came out during that discussion had already been formulated by David. He already had the broad strokes planned in his mind if not on paper. He knew, from his time with the Boy Scouts and Westlake’s marching band, the importance of students leading and teaching each other. He saw in various other student groups the importance of parent involvement...and the necessity of giving the control to the students. They sat down and penned both short-term and long-term goals for the program. • It was important that technical theater not be just a support service (there only to turn the lights on for other groups) but a place for students who didn’t fit into the usual boxes; somewhere for them to grow and to learn how to lead others. • While the social aspect was important, both thought of the group as more than a club. They wanted it to be an extension of the live event industry, with ties to companies and organizations outside of the school. • In order to take field trips, it would necessitate the creation of formal bylaws and a student activity account. • Fund raising would always be student-run and a student would have to approve every expenditure. • Core values of the organization would be professionalism, team-building, problem solving, leadership and, most importantly, fun. All of this happened very quickly. With every idea they put to paper they constantly asked each other if these things best served the students. They talked about how the decisions they were making would impact classes, shows, and the group’s relationships with other organizations. After much debate, and not a small amount of research, Westlake’s newest student-run organization needed only one more thing: a name. It needed to sound professional, but not pretentious. It needed to have a ring to it, but it couldn’t be corny. It needed to be easy to remember, but it needed to be very clear what it stood for. Not abstract, but concrete. • the action of providing or being provided with amusement or enjoyment : everyone just sits in front of the TV for entertainment. Technical Entertainment Crew. TEC. Simple. Effective. Meaningful. Perfect. As students make their way in to leadership positions in TEC, a constant dialogue is maintained about the importance of relationships, networking, and respect. Throughout a student’s career at Westlake, they will form relationships with students, teachers, administrators, alumni, and even other industry professionals. Additionally, they will experience some of these relationships in terms of a hierarchy, working in subordinate or superior roles on show crews. We believe that having a thorough respect and appreciation for those around us enables amazing opportunities for personal and professional networking. As we work on events, performances, and even trips, we are constantly reminded that this style of networking is not only important, but vital, to our mission. Take the Nutcracker Spectacular for example: Each year, TEC produces the Nutcracker Spectacular at the Westlake Performing Arts Center. That’s a nice statement and it’s completely true, but we know and acknowledge every year that there are many people and organizations involved in putting together this amazing set of standing-room-only performances. Without Alisa’s Dance Academy, for instance, the show would mostly consist of a big empty stage. Without our friends in the entertainment industry and the support of the administrators like the Principal of Westlake and the Superintendent of Eanes ISD we would never be able to bring in the unique special effects used in the show’s finale. Another example: In 2012, TEC visited New York City to see several Broadway musicals and get a backstage look at professional theaters throughout the city. Anyone can buy a ticket to see a Broadway musical, but you can’t buy a ticket for a backstage tour at Spider-Man: Turn Off The Dark. You can pay for great seats to see Mary Poppins, but you won’t find a button on TicketMaster to sit down with cast members and stage management for a Q&A after the show. And yes, you can probably get a front row seat to see Ricky Martin in Evita, but your credit card company definitely can’t get you in to see a rehearsal before the show has opened. These are all things that TEC members experienced because of the deep network of relationships they have cultivated and maintained for more than fifteen years. Quite often what they really mean is ‘what technology did you use to do that?’. Most people assume that it all boils down to the computers, lights, speakers, cameras, and other tools of the craft. And while that’s not a bad place to start, the answer to ‘how’ lies not in the technology, but in the people. 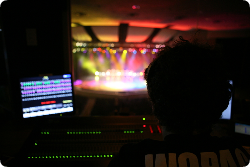 The true building blocks of staging any show at the PAC are the students behind the scenes who are running the cables, focusing the lights, building the scenery, mic’ing the performers, manning the cameras, and mopping the stage floor. They each spend hundreds of hours a year learning new technology, managing teams, maintaining the facility, developing leadership skills, and taking care of their equipment. When a concept like TEC is explained, many people shy away from the thought of letting a bunch of high school students have regular access to millions of dollars worth of equipment. They assume that the equipment is too fragile or too complex and don’t want to think about it being in the hands of a 15 year old. But for the past twenty years, it has brought nothing but good results to Westlake High School, Eanes ISD, and the Westlake Community as whole. That’s the short version. Here’s the long one. The PAC as you see it today did not spring fully formed from the ground. The building that was originally built over thirty years ago represented a starting point. It is really only in the past fifteen years that this building has come to house the advanced lighting, audio, video, scenic, and special effects systems that you see today. In the case of each major technical system that has been added to this program, students, teachers, and administrators worked closely to help each other understand the purpose, value, and relative necessity. In some cases, technology has been purchased as a teaching aid while in other cases it has been justified by the growing requirements of the school’s arts programs or even outside rental customers who provide revenue for the school district. In every case, the decision to expand students’ access to state-of-the-art equipment has coincided with massive amounts of time learning from industry professionals about the operation and upkeep of these systems. The lighting equipment at the PAC is the same as that being used every day in the biggest touring concert tours on the planet. The audio gear is the same used by almost every major Broadway production currently running. The video and camera equipment is the same as that used by broadcast television networks for NBA, NFL, MLB, and NHL games throughout the year. When one of these systems is brought in for the first time, we typically reach out to our extensive professional network in order to bring in an industry expert to teach us how things are done in the ‘real world’. Whether it’s a new lighting console, a new speaker system, a high definition camera package, or a video editing suite, we have access to people who are working with this equipment on the front lines of today’s entertainment business. Of course, getting the training is only the first step. The longer any of these systems are in place, the more we expect students to teach each other. By the time a Westlake TEC member is a senior in high school, they will often have specialized in the operation of one of these systems, spending tens or hundreds of hours of their own time learning the ins-and-outs of a specific piece of technology in an effort to better understand the tools we’re working with. A student is often expected to pass on much of their learning to younger students throughout their time in TEC. This students-only, ‘deep dive’ type of classroom has an added benefit. When something goes wrong or something breaks, the students are often the ones to fix it. It’s difficult to measure the importance of this, but it is the answer to one of the most frequent questions we get…”How do you get all of this technology?” It takes a long time. And in most facilities much of it would be broken or unusable by now. But because we spend so much time understanding and maintaining the equipment, much of it lasts longer than its expected usable life and the students have a better understanding of how it all works. So, the short answer is…We get to have the technology because we teach the students to take care of it. Before 2001 TEC stayed mostly in the Performing Arts Center; however, exciting changes were right around the corner. After electing its fourth president, the organization began to branch into the video realm almost by accident. During a school board meeting concerning the new video board that was to be installed in the football stadium that year, David and TEC were volunteered to head up the project. This monumental decision was based on the team’s technical acumen and organizational agility. It was an unexpected step that turned into a new and exciting slice of the Technical Entertainment Crew’s responsibilities. The week before the first game of the season, cables were still being connected and cameras were still being shipped in. It was not until a day or so before that first game that the cameras and lenses even arrived on campus. After a short discussion it was decided that despite the lack of training time the newly formed student video crew was still going to produce the video on the video board that inaugural season, not the professionals. There was a very specific reason for that decision. In David Poole's eyes, the whole point of the project was not to have amazing instant replays, it was to have amazing instant replays shot by students. That first game turned out to be a success and slowly the video crew evolved, growing in number of students from 10 to 24. Graduating from standard definition cameras to high definition in 2010, and going from shooting a few shots for the video board to produced full-length comprehensive television broadcasts including motion graphics, replays and 4 camera angles of every single varsity football game no matter the location. 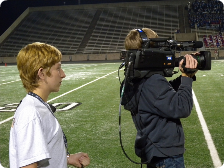 The project has yielded numerous first place UIL Individual Broadcast Journalism Award in directing as well as other awards in photography and editing. 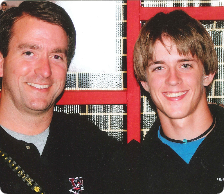 In the summer of 2005, a former Westlake student, active in the Technical Entertainment Crew, was critically injured in a boating accident on Lake Austin. As he began his lengthy recuperation and rehabilitation process the officers of TEC decided to do something to show their support for the student. In association with a local radio station, the students arranged for the band Wide Awake to play a benefit concert at the PAC. Using all of the resources at hand, they raised money to help him offset his growing medical costs. As time went by, David was convinced that there was an important piece of the production business that was missing from the curriculum. While TEC was involved in many amazing events throughout the year, they all shared a common thread: they were all for someone else. It was time for TEC to produce an event from the ground up. This would require creating and marketing a brand new show as well as selling tickets and garnering sponsorships. David had the idea during a dance recital by Alisa’s Dance Academy, a local dance studio who had a long relationship with the PAC. At the same time, he had always wanted to get the high school’s orchestra involved in a show where they could perform from the rarely used orchestra ‘pit’ in the PAC in the same manner as a professional orchestra. The idea was simple on its surface…a unique take on a classic holiday ballet. The dancers and orchestra members would have the opportunity to perform in a full-length production for a paying audience and the Technical Entertainment Crew would for the first time direct their own production. The show would provide an alternative for families not wanting to sit through a full-length version of the Nutcracker and would offer a couple of unique twists. The Nutcracker Spectacular was first performed in December of 2004 and has been running annually ever since. Intended as a production that could be enjoyed by children and adults of all ages, the sound production of the Nutcracker Spectacular represents a hybrid approach between a traditional orchestral performance (without microphones) and a modern rock concert. By mic’ing every instrument in the pit, students on the production team are able to ensure that every instrument in the orchestra is heard in every corner of the PAC. In addition to the traditional music and dances, TEC decided to put their stamp on the production, adding a magical Christmas tree that rises out of the stage and topping it off with a rock n' roll finale that quickly takes the show from classical ballet to classic rock with a live band performing on stage in sync with the orchestra in the pit. As the event grew in popularity, TEC began an annual tradition of putting on a free morning performance for all of the 4th and 5th grade students in Eanes ISD. As of 2012, this performance along with four public performances make this the most highly trafficked annual event in the PAC. In 2011, the TEC officers wanted to do something special with some of the proceeds of this incredibly successful event. After reaching out to the Make-A-Wish Foundation, the students decided to raise enough money to sponsor one child’s wish that year. This has become an annual tradition. In June 2007, David Poole was asked to consult full time on the opening of the brand new Long Center for the Performing Arts in downtown Austin. While David had a long and successful history at Westlake, it was apparent that this would be a new and exciting challenge where he would learn about the additional demands of opening a modern facility and running a professional roadhouse. After successfully opening the Long Center to rave reviews, David returned to Westlake in December of 2008 with a wealth of new knowledge and brand new industry relationships as well as a deeper understanding of industry practices. The core of TEC has changed little since the fall of 1997; the bylaws remain nearly completely intact, David Poole is still at the helm, and students are still running the show. There are a few differences though, and one of those major differences is the sheer magnitude of what TEC does now. The history of the Technical Entertainment Crew was written by Phil Gilbert, Jr. with contributions by David Poole, Travis Favaron, and the officers of the Technical Entertainment Crew.